Leonardo Da Vinci – Flight of the Phoenix! Leonardo da Vinci, one of the most famous personalities, born more than five centuries ago, still being studied today and the subject of many controversies. Can you imagine what it must have taken an illegitimate child of a peasant women, when being illegitimate really meant something, to rise above the prevalent mediocre ambitions of the day and make a mark for himself? Although we know him more for his world famous paintings, he was a multifaceted man who was a painter, sculptor, architect, musician, scientist, mathematician, engineer, inventor, anatomist, geologist, cartographer, botanist and a writer – all rolled into one! Was it easy for him to make such an accomplishment due to royal patronage? It would be wrong to assume so. He had to face many difficulties like false accusations of sexual misconduct, for which the guilty was sentenced to death in the public! His failures were as grand as his success. ‘The Last Supper’ was finally spoilt, when he painted it with some experimental medium mixture and began to disintegrate as soon as he painted it. Leonardo’s clay model of the Great Equestrian Monument, for the Duke of Milan, stood around for years until it was destroyed and the Duke finally made cannon with the bronze he had saved for the statue. What was it that made a legend out of a small boy Leonardo from the village of Vinci in Italy? It was his own code that he developed from the power of his intellect and determination. 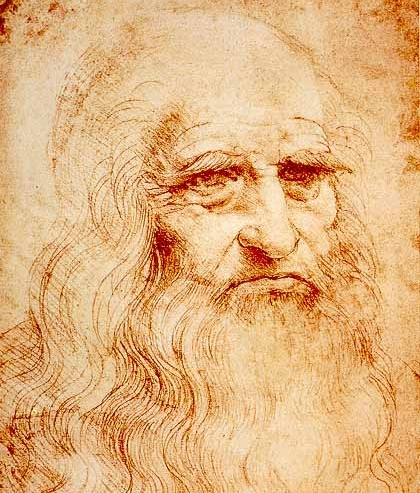 Early in his life Leonardo discovered the relation between intelligence, power and fame. Leonardo’s life is a kaleidoscope of the magnificent ways in which the human intellect flowers, when one uses the key of insatiable desire to learn more about the world around. His quotations reflect the essence of his nature. Today a million visitors a year come to visit the Museum of Leonardo and his birthplace to understand this legendary being.